Nosara is among one of the many hidden gems in Costa Rica. The beach if famous for its wildlife, surfing and yoga. Many expats choose this area to live for its seclusion and beautiful scenery. The village of Nosara is quite small, however it is a beautiful area mainly due to the protected wildlife refuge nearby. The city is about 8km inland from the beach and you can expect to need to do a bit of traveling for common needs. There is a new highway that runs to Nosara so the terrain is easy enough to drive for Costa Rica and a vehicle is recommended as everything is very spread out. The beach in Nosara is famous for attracting surfers of all levels. The waves are calm but great for beginner to intermediate surfers. You will find no shortage of surf camps and trainers here either. There is also a large number of yoga retreats in Nosara as well. If either of these are on your itinerary this area is a great option. Check out our recommendations when preparing to visit the beach. The area here is so full of life, and hosts hundreds of species of animals. There is no telling what animals you may see on a guided tour in through the jungle. However some of the common animals in this area include Howler monkeys, Ridley turtles, endless species of birds and lizards. 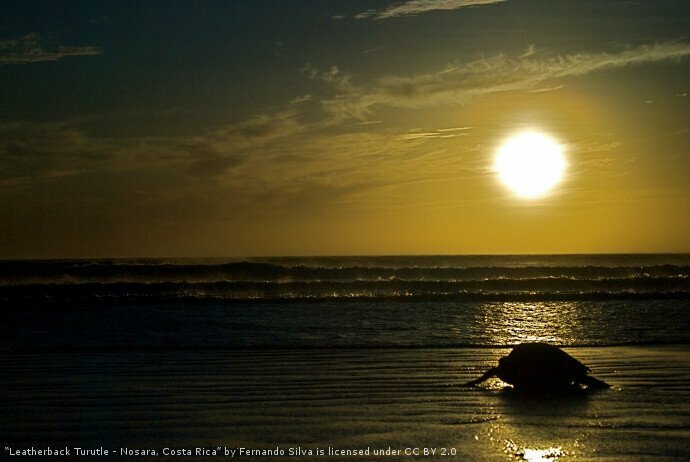 The area is especially popular during the turtle nesting season. The options for fishing tours in Nosara are amazing due to the blue waters of the Pacific. The area has many species of sport fish including marlin, tuna, snapper and sailfish. Nosara has a reputation for having some of the best fishing waters in the Americas. For the area we recommend having your own 4×4 for your stay. The roads are not terribly bad however many have large ruts. Also when raining the mud can be quite deep. Also with everything being very spread out in this area you will want to have your own vehicle. Target offers a wide selection of premium 4×4 rentals that will make your trip to Nosara perfect.